One of the things I tend to do in the autumn and most winter is to plan ahead for the next growing season. This year has been quite an exception though as I have been planning for next year since last summer, much earlier than usual. Perhaps because it was so wet that we had much less time to spend tending to the plants, and because of the pond project too which took up most of our spare time this year. Either way I just regard it as a long build up of excitement for next year's potential. The long road to next year - words I've muttered to myself several times recently. But this year's summer wasn't a write off at all, far from it. Let's just say, it was unique. Somehow this year I also felt that I have slightly lost touch with what look I want to achieve with the existing garden (the new garden is more modern and hard landscaping heavy, to say the least). Maybe because we have seen so many formal and 'English' style gardens recently and such styles are starting to rub off on me? Again, maybe because we spent most of our time building the pond? But now that the latter is almost done, I find myself with the prospect of having more time again to spend with the rest of the garden. And I need some inspiration for next year. I need to remember what it was all about anyway, why we have what we have now. Beautiful, but is neither exotic nor tropical. I love it though, but not for our garden. I need to rediscover our tropical soul. It's still there although semi-dormant and I need to poke and prod it with inspiration to rouse and revive it, ready for next year. A contrived tropical garden. That's what it was all about, that's how it began and that's how it should be. To create an illusion of a garden that is from the tropics; of far flung, exotic places full of exotic and unusual plants. Perhaps to remind you of a cherished holiday abroad, or as a way of everyday escapism to make you feel you are anywhere else but here. And yes it can be done, to create that illusion via creativity and substitution. Of which I need to remember. I need to remind myself. So how do I go about remembering it again? The first port of call are books. New books to remind myself and be inspired again. Funny enough, I went through those three books in that order so when I got to the last one, I was, well, gobsmacked ('totally surprised' for those who are not aware of this British colloquial word). Wow! Stunning photography of stunning gardens with stunning plants. Have I said the word 'stunning' enough already? After going through this book several times and settling down after the initial astonishment of visual delights found in every page, one other thing that struck me is that most of the gardens featured are private residences, rather than large parks and public spaces. Which makes the photos more 'reachable', attainable, and aspects of it applicable to ones own space. Even in parts of the world that are far from tropical, like where we are. Illusion and creative substitution are the operative words. I would hasten to add though that this book is not for those seeking botanical knowledge. It's probably not even for garden designers, for there are no rules stated there. 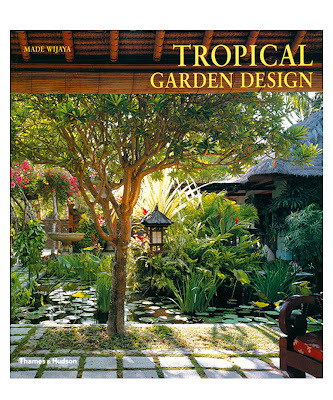 It is however, for anyone seeking visual inspiration, for anyone wanting to create a beautiful exotic garden. It is a book of pure visual beauty. And sometimes that's all you need. It's up to the reader to apply to ones own space the beauty they have seen if they so wish. Bearing in mind that the tropics do not have four seasons, and that there is a state of year round constancy with regards to the appearance of plants growing there, it takes a bit of faith and flair to adapt that look in a cold temperate climate. But this extra challenge makes exotic gardening even more fun. You know Mark with your adding the pond, it's obviously the right time to look at how you want things to change to now compliment each other. You both are most definitely up to the task. Will be fun to watch what you change. A thought-provoking post. My life has been very busy in the last few months as well and I haven't spent much time actually working in the garden. Part of it is due to a lack of motivation caused, in turn, by a lack of inspiration. While my garden isn't exotic the way yours is (well, to some it may be), I find looking through books of tropical gardens to be immensely exciting. 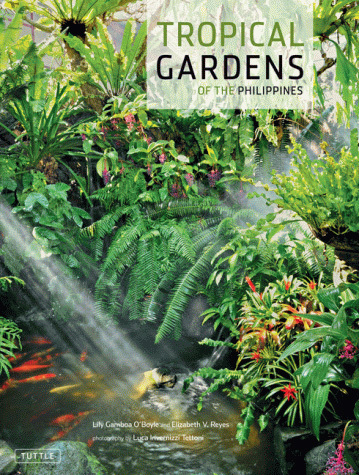 I can't wait for my copy of Tropical Gardens of the Philippines to arrive. I'm craving inspiration at the moment! Hi Gerhard, sometimes life does gets so busy indeed that it takes you away from the things you enjoy the most, albeit temporarily and can take a bit more effort to get back on track. 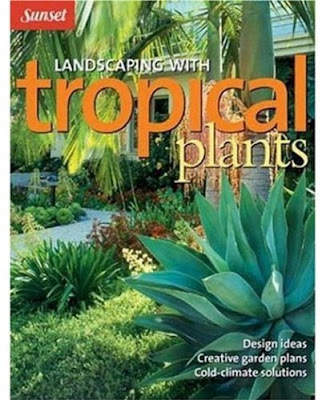 I hope you'll enjoy the book as much as we did :) There aren't many succulents there but loads of lush planting that are very likely to appeal to you. Especially now that you have quite a selection of large Bambusas already. I was actually looking at those exact three books on Amazon last night, pondering if I should splurge on one of them. 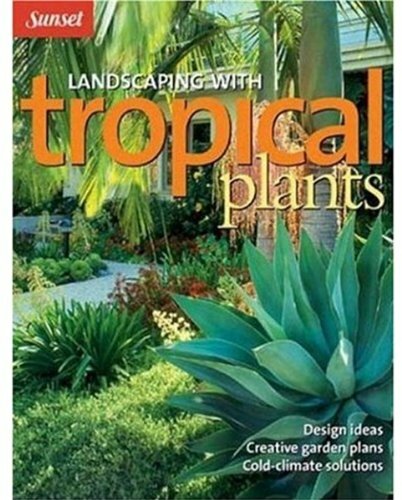 I had flipped through "Tropical Gardens of the Philippines" once this summer when I was in Malaysia. Not surprisingly, it was in a lot of the bookstores there. I am exactly the same way about occasionally needing new visuals for inspiration... And I usually find these glossy coffee table books much more helpful in those instances than practical design or garden advice books. Nice post and a it's a parallel universe to my own. Tropical gardens are such strange beasts....if you let them take over they don't look like anything to an outsider except a wilderness. If you make them too formal they look contrived. That's why books are so nice in this instance and you have found 3 wonderful choices. I own the first two, but have never even heard of that third one. I'm now on the hunt for it and can't wait to see the gardens inside. Thanks!!! Have fun dreaming. Dreaming is half the fun! Hello Mark, the first thing that comes to mind is 'how long have you been there'? And you are right, these gardens are owned by the rich and famous here, or those who make things happen. The sad thing here is the absence of public or even private parks like in rich countries, where we can just go, sit, relax, take photos and enjoy the surroundings. In my case, i have the area, the knowledge and the hope to do it, but I am not living in my own place, so very difficult. I am with you in attaining your dream, I am sure you will achieve it! Have fun! I have that 3rd book too, a bit expensive for our capacity to pay. PS. Mark, that photo you showed there looks like the houses in Sabtang Island in Batanes. The English wants the tropical look and those here in the country wants the English gardens, haha. 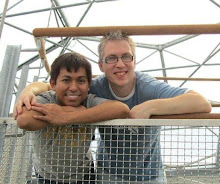 Maybe we just need to have an exchange residence program! It might click. It's a funny thing, this gardening lark, isn't it? Some days I want to spend the whole day gardening, others I can't even look at the garden for fear of how much work there is to do. The thought of opening my garden for charity is keeping me going at the moment - is that something you would consider? Yay new books to look for, these look like good ones, feel like I maybe even own that first one. Glad to read they'e maybe helped you over a hump, lord knows we all have those times. Garden books with visually inspiring photos are my favorites, especially when I am in planning mode or snuggling in for the winter or when I am in the doldrums and need a lift. Your own garden has also been a source of inspiration to me. I am amazed at the tropical paradise you are creating in your temperate climate! As a bookaholic you've convinced me. I hadn't seen the third one before, but if you say it's even better than Made Wijaya's book it must be good. Mark, I think you are spot on realizing that we need a (garden-)vision and stick to it when we want to create a beautiful garden. I also love to get inspired by books and can relate to your excitement especially about the last book. I find reading blogs like yours also very inspiring, because usually they are written by "real people" dealing with "real gardens", real problems, and real budgets. Can't wait to see what you come up with for next year! College Gardener, interesting to hear that you saw this book whilst in Malaysia. Seems to be that this book is well distributed. David, it’s actually via one of your earlier blog posts that bought Made Wijaya’s book back into my consciousness. And yes the third one is definitely worth getting. Andrea, I’ve been here for more than a decade. What I find in the Philippines is there seems to be extra reverence for shopping malls over large outdoor spaces like parks, etc. I suppose with being such a hot country most people prefer to hang out where there’s air conditioning. You’re welcome to visit us anytime btw! Same here Martin, there are days indeed when I can’t even be bothered to go out in the garden at all. Opening our garden is something we’ve been considering for quite some time but at the moment the decision is not too. But who knows what we decide next year. Loree, the books has helped indeed. Sometimes it’s just nice and relaxing just looking at inspirational photos. Missy, definitely! You have to have it, especially in your location too. Christina, I’m glad to hear you enjoy visiting the gardens and seeing what we get up to. And vice versa, we love reading your blog too.